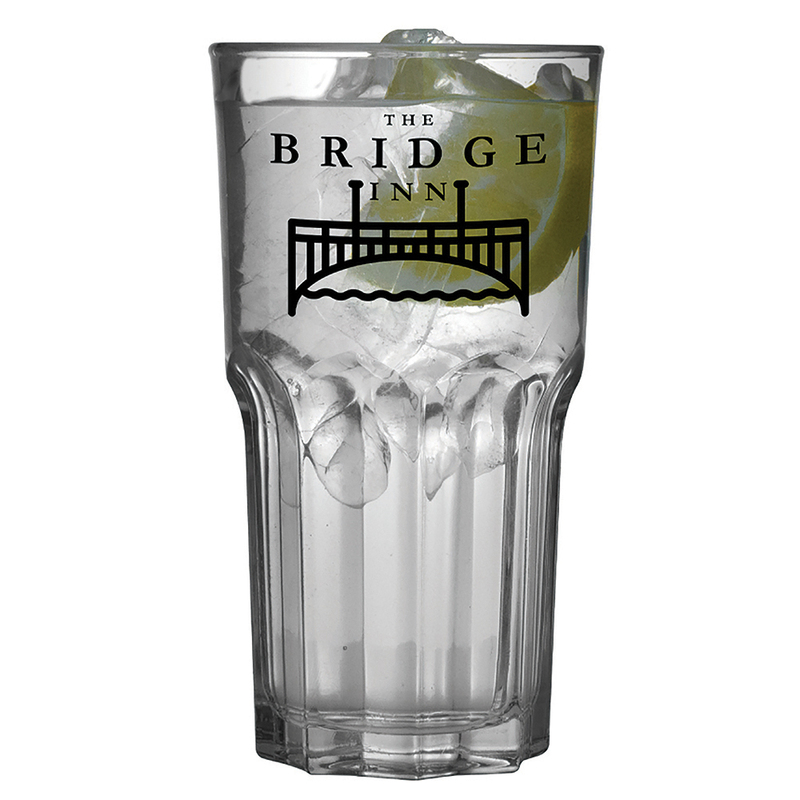 Model:MG9050 BELFAST MUG Description: The Belfast Mug has an iconic rounded curvy shape with a large sturdy handle. Its wide rim, slender base and sweeping curves are pleasing to the eye. Colour Options: White Product Data Specification Product Size 78 x 95 x 105 mm Product Weight Ink Colours If Applicable N/A Additional Information Front & Back Lead Times Contact Supplier Personalisation Data Max Personalisation Pad/Screen Print Area 50 x 250 mm Engraving Area N/A Full Colour Area N/A Embroided Area N/A Max Spot Colours N/A Foil Block Embossing N/A Notes Prices inclusive of single colour print to 1 position unless stated. Set up and carriage are additional. Model:MG9015 BELL MUG Description: The unique Bell mug is an attractive alternative to the usual styles of the earthenware shapes. Available in 4 glazes including all of which are available on our Express service. Colour Options: White,Black,Yellow,Midnight Blue Product Data Specification Product Size 80 x 80 x 93 mm Product Weight Ink Colours If Applicable N/A Additional Information Front & Back. 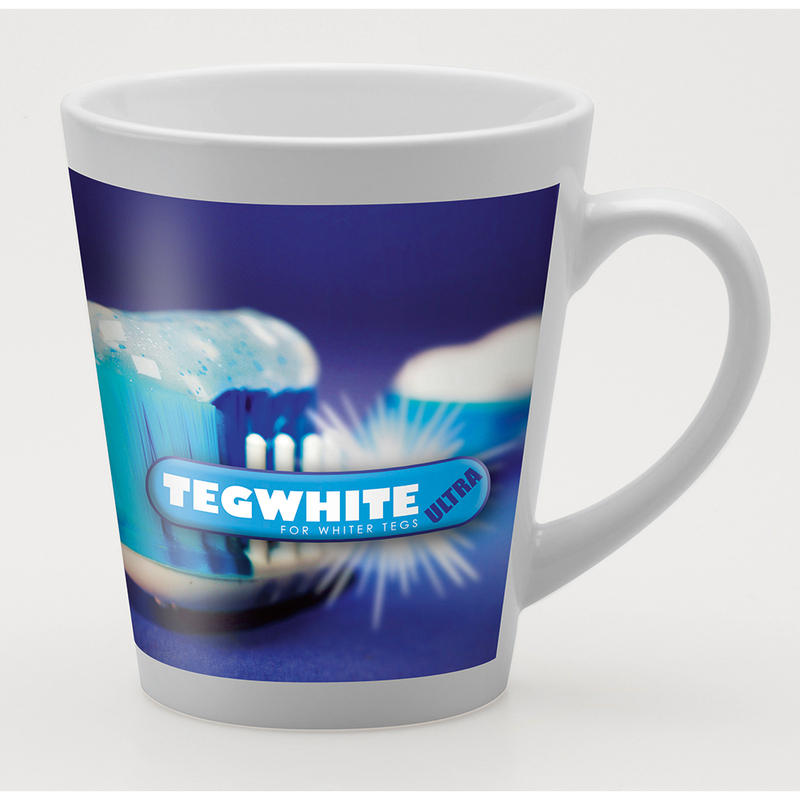 Unless stated all prices shown include a one colour personalisation to one position on a white glaze. Artwork, Origination, Coloured Glazes, Carriage and VAT Extra. Lead Times Contact Supplier Personalisation Data Max Personalisation Pad/Screen Print Area 40 x 185 mm Engraving Area N/A Full Colour Area N/A Embroided Area N/A Max Spot Colours N/A Foil Block Embossing N/A Notes Prices inclusive of single colour print to 1 position unless stated. Set up and carriage are additional. 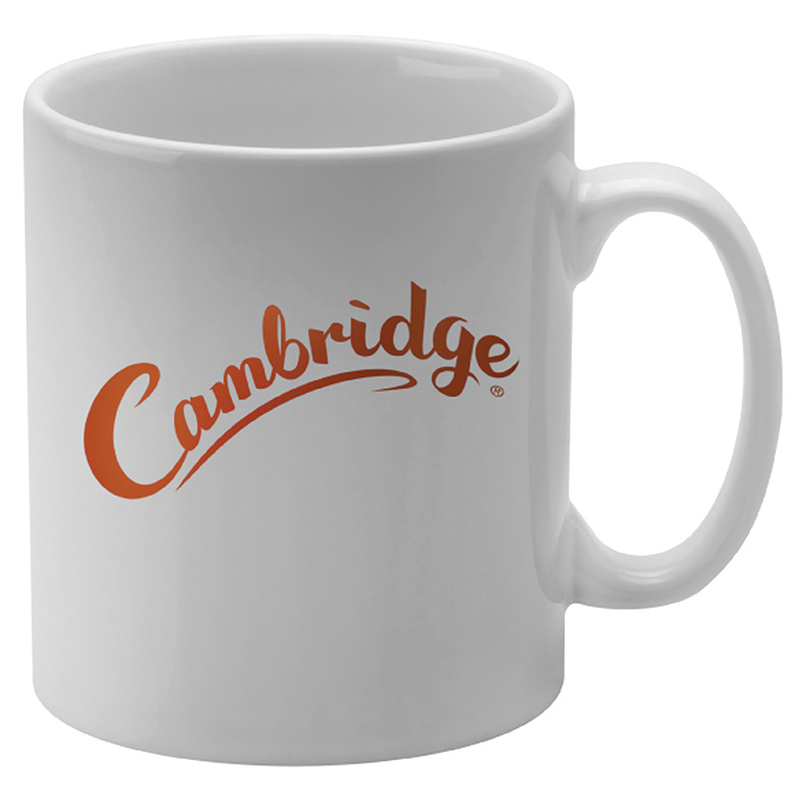 Model:MG9000 CAMBRIDGE MUG Description: The Cambridge mug's simple straight lines make it a perfect low cost give away to all, available in 16 stock glazes all of which are available on our Express service. Prices shown are for white glaze. Colour Options: White, Black, Yellow, Midnight Blue, Reflex Blue, Light Blue, Racing Green, Grey, Ivory, Orange, Purple, Cranberry, Red Duo, Midnight Blue Duo, Black Duo, Matt Black Product Data Specification Product Size 80 x 93 x 80 mm Product Weight Ink Colours If Applicable N/A Additional Information Front & Back. Unless stated all prices shown include a one colour personalisation to one position on a white glaze. Artwork, Origination, Coloured Glazes, Carriage and VAT Extra. Lead Times Contact Supplier Personalisation Data Max Personalisation Pad/Screen Print Area 70 x 185 mm Engraving Area N/A Full Colour Area N/A Embroided Area N/A Max Spot Colours N/A Foil Block Embossing N/A Notes Prices inclusive of single colour print to 1 position unless stated. Set up and carriage are additional. 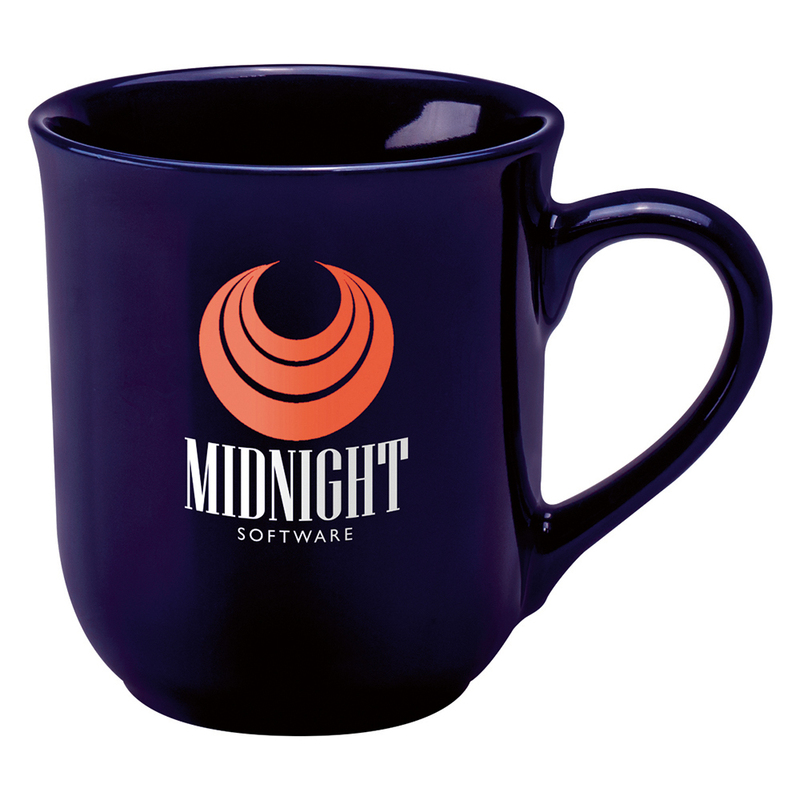 Model:MG9030 CORPORATE MUG Description: A new addition to the range. 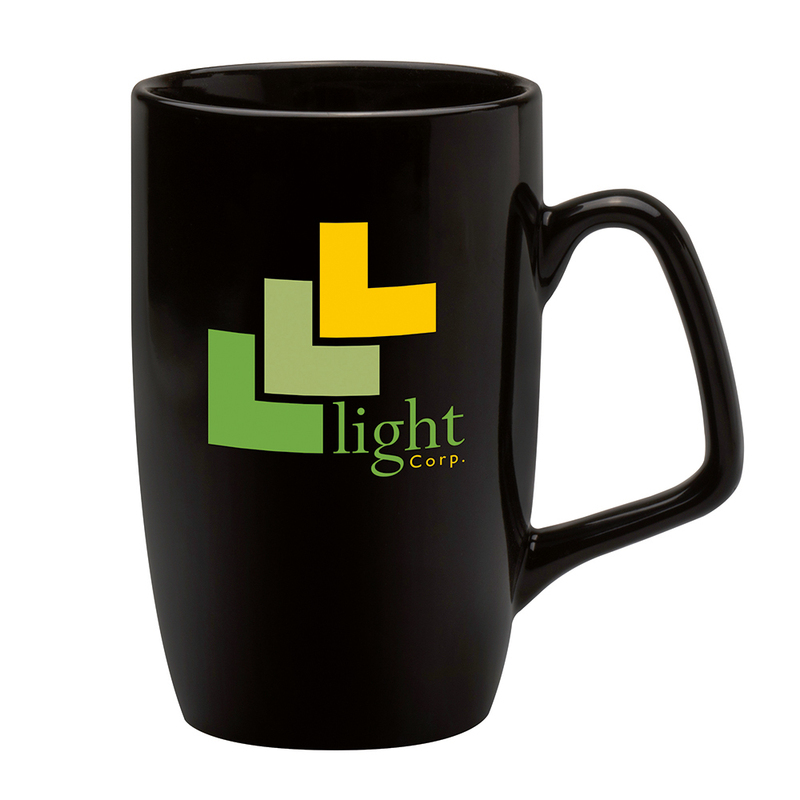 The corporate mug combines a stylish body with an angular handle. Perfect for that office brew, Colour Options: Black,White Product Data Specification Product Size 70 x 70 x 116 mm Product Weight Ink Colours If Applicable N/A Additional Information Front & Back. Unless stated all prices shown include a one colour personalisation to one position on a white glaze. Artwork, Origination, Coloured Glazes, Carriage and VAT Extra. Lead Times Contact Supplier Personalisation Data Max Personalisation Pad/Screen Print Area 55 x 175 mm Engraving Area N/A Full Colour Area N/A Embroided Area N/A Max Spot Colours N/A Foil Block Embossing N/A Notes Prices inclusive of single colour print to 1 position unless stated. Set up and carriage are additional. Model:MG9046 DARWIN MUG Description: The Darwin mug is similar to the popular Marrow but comes with a larger curved handle and is slightly smaller but that doesn't take anything away from its stylish looks. Colour Options: White,Black Product Data Specification Product Size 76 x 76 x 91 mm Product Weight Ink Colours If Applicable N/A Additional Information Front & Back. Unless stated all prices shown include a one colour personalisation to one position on a white glaze. Artwork, Origination, Coloured Glazes, Carriage and VAT Extra. Lead Times Contact Supplier Personalisation Data Max Personalisation Pad/Screen Print Area 35 x 180 mm Engraving Area N/A Full Colour Area N/A Embroided Area N/A Max Spot Colours N/A Foil Block Embossing N/A Notes Prices inclusive of single colour print to 1 position unless stated. Set up and carriage are additional. Model:MG9031 DECO DYE DUBLIMATION MUG Description: The stylish Deco gets the full colour treatment. Dye Sub allows full colour photographic designs with the most vivid colours. Colour Options: White Product Data Specification Product Size 85 x 85 x 95 mm Product Weight Ink Colours If Applicable N/A Additional Information Full Wrap. A curve charge on artwork may apply Lead Times Contact Supplier Personalisation Data Max Personalisation Pad/Screen Print Area 85 x 170 mm Engraving Area N/A Full Colour Area N/A Embroided Area N/A Max Spot Colours N/A Foil Block Embossing N/A Notes Prices inclusive of single colour print to 1 position unless stated. Set up and carriage are additional. 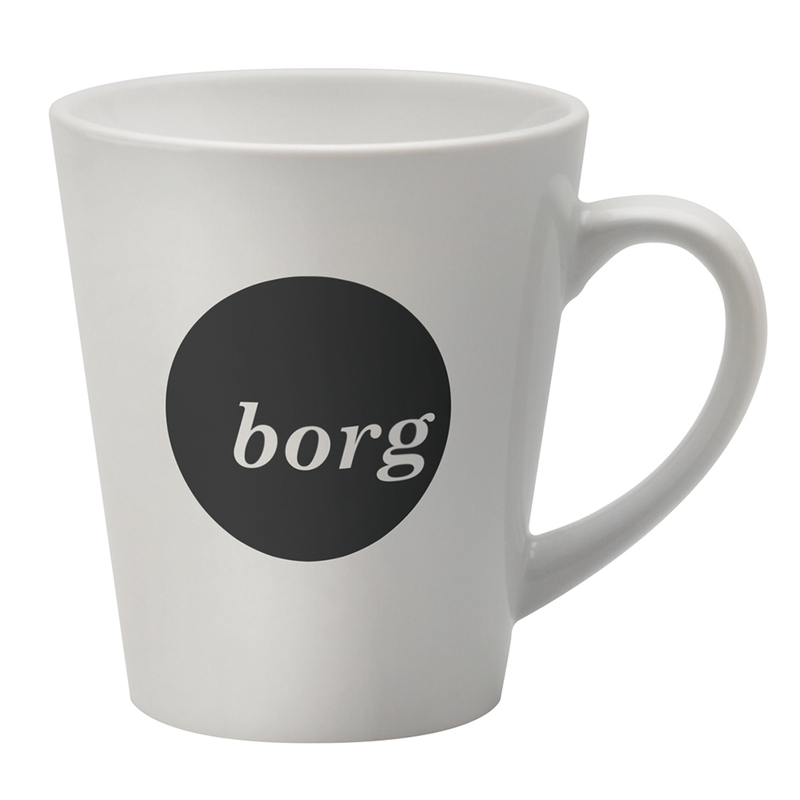 Model:MG9051 DECO MUG Description: The deco mug is a highly angular shape. This jazzy style will certainly make you stand out from the rest. Colour Options: White Product Data Specification Product Size 95 x 90 x 90 mm Product Weight Ink Colours If Applicable N/A Additional Information Front & Back. Direct print option available for 1 colour print only. Lead Times Contact Supplier Personalisation Data Max Personalisation Pad/Screen Print Area 50 x 195 mm Engraving Area N/A Full Colour Area N/A Embroided Area N/A Max Spot Colours N/A Foil Block Embossing N/A Notes Prices inclusive of single colour print to 1 position unless stated. Set up and carriage are additional. 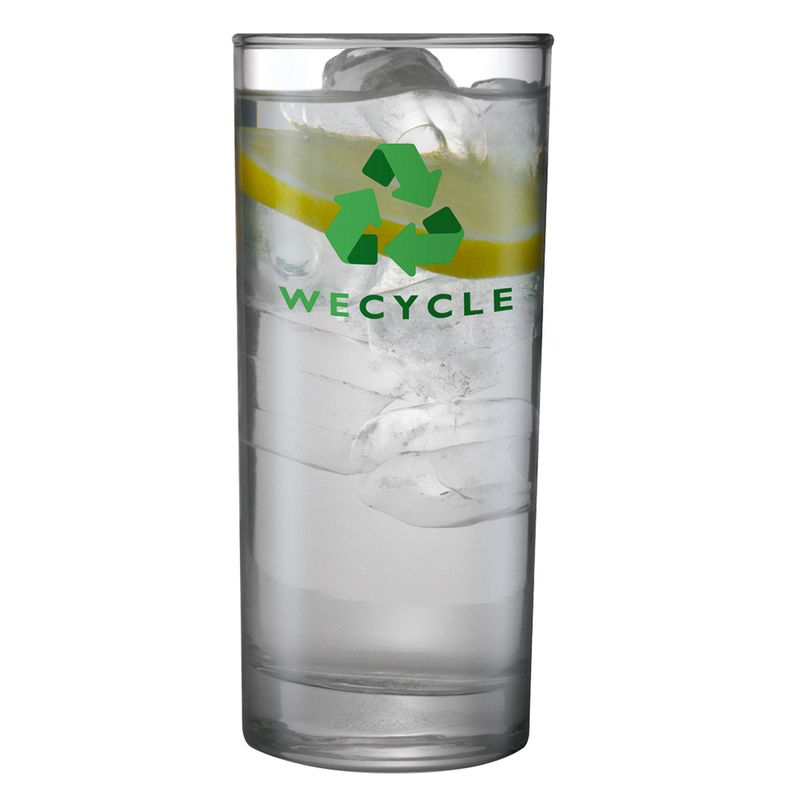 Model:MG9021 ELEGANCE HI BALL GLASS Description: A simple styled glass tumbler, also available in a small version. 340ml capacity Colour Options: Clear Product Data Specification Product Size 66 x 66 x 147 mm Product Weight Ink Colours If Applicable N/A Additional Information Front & Back. Direct Screen Print available - up to 1 colour Lead Times Contact Supplier Personalisation Data Max Personalisation Pad/Screen Print Area 70 x 175 mm Engraving Area N/A Full Colour Area N/A Embroided Area N/A Max Spot Colours N/A Foil Block Embossing N/A Notes Prices inclusive of single colour print to 1 position unless stated. Set up and carriage are additional. Model:MG9043 GRANITY COOLER Description: A tall strong glass with a large capacity. Colour Options: Clear Product Data Specification Product Size 87 x 87 x 160 mm Product Weight Ink Colours If Applicable N/A Additional Information Front & Back Lead Times Contact Supplier Personalisation Data Max Personalisation Pad/Screen Print Area 40 X 40 mm Engraving Area N/A Full Colour Area N/A Embroided Area N/A Max Spot Colours N/A Foil Block Embossing N/A Notes Prices inclusive of single colour print to 1 position unless stated. Set up and carriage are additional. 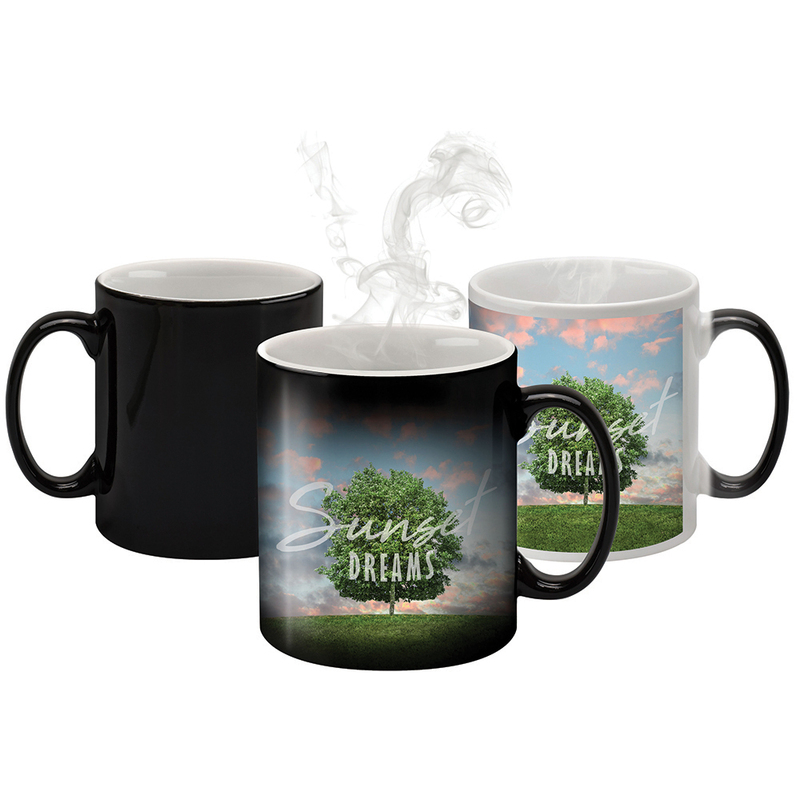 Model:MG9056 HEAT CHANGE DURHAM DYE SUBLIMATION MUG Description: The heat reveal mug is certain to grab the attention of your audience. 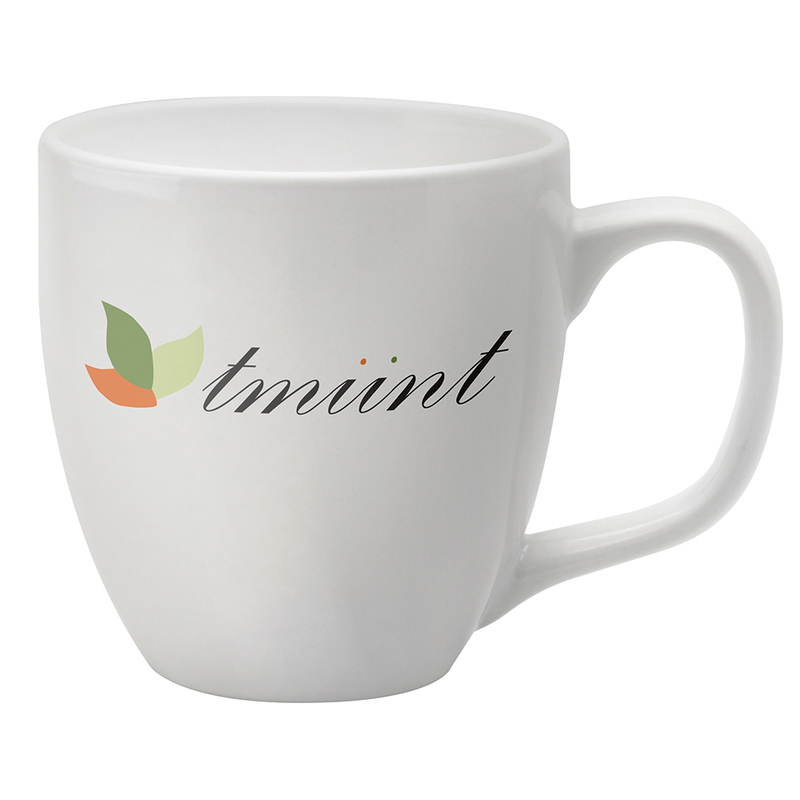 As you pour in a hot drink the mug begins to reveal its true colours to showcase a full colour dye sub print which is visible. Colour Options: Black Product Data Specification Product Size 80 x 80 x 93 mm Product Weight Ink Colours If Applicable N/A Additional Information Full wrap. 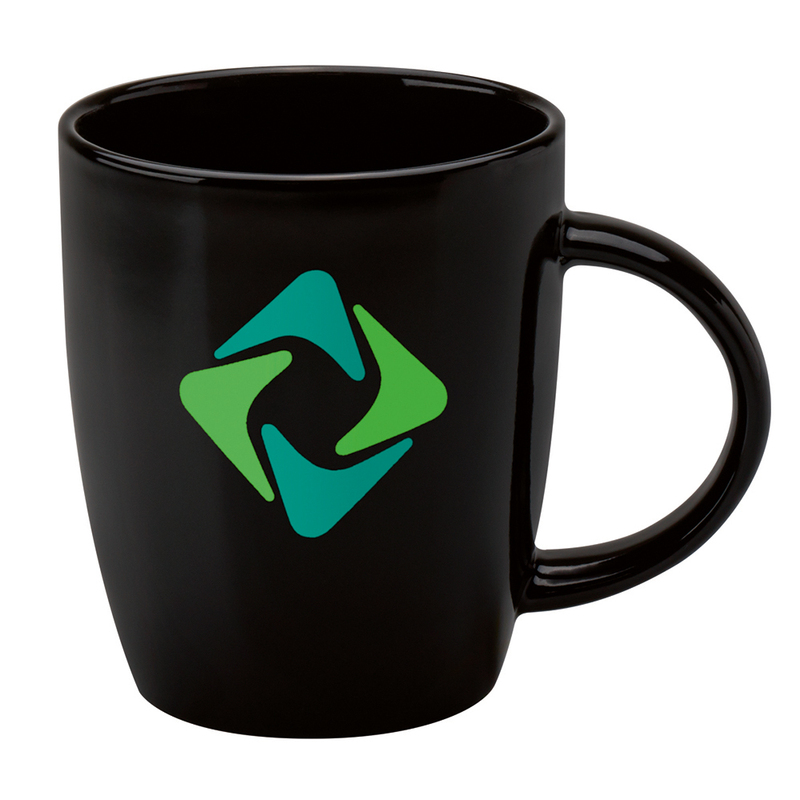 Special Offer on heat change mugs. Lead Times Contact Supplier Personalisation Data Max Personalisation Pad/Screen Print Area 80 x 210 mm Engraving Area N/A Full Colour Area N/A Embroided Area N/A Max Spot Colours N/A Foil Block Embossing N/A Notes Prices inclusive of single colour print to 1 position unless stated. Set up and carriage are additional.